Congratulations on losing the weight we were pretending you didn't need to lose. Congratulations on almost quitting smoking. Congratulations on not being sterile. That’s very interesting. 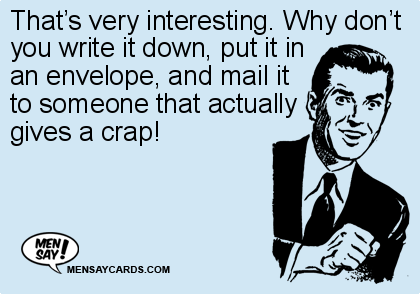 Why don’t you write it down, put it in an envelope, and mail it to someone that actually gives a crap! Congratulations on your little accident. Today is a perfect day for you to treat an American veteran significantly better than America does.